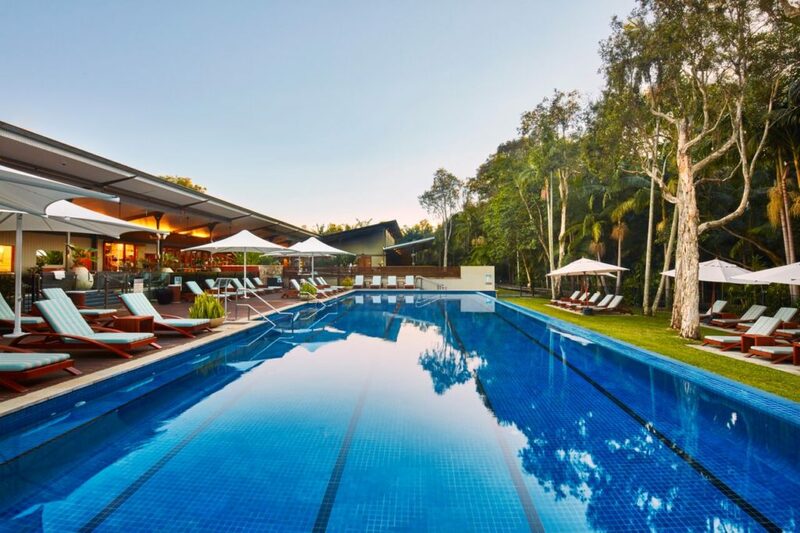 There are a few places in the Byron Bay area that take your breath away, The Byron at Byron Resort and Spa is one of them – not only because it’s beautiful, but because by the time you leave here, you’ll be breathing a lot slower. Masters art of relaxation and rejuvenation, The Byron at Byron’s “nothing is too much trouble” take on every interaction with their guests is really what sets this magical place apart from so many other businesses offering boutique, luxury accommodation in the area. Byron Bay Luxe Limousines are proud to partner with The Byron at Byron because we share the same values when it comes to customer service, and we genuinely care about what we do – A LOT! At Byron Bay Luxe, we often hear feedback on people’s way home, and over the years have got to know what people really want. We know who’s “getting it right” and who isn’t and The Byron at Byron are definitely getting it right. So what exactly does “getting it right” mean anyway? Well, it means day spa to die for, world class wellness, the most beautiful of beaches on your door step, magical gardens surrounded by a forest filled with native flora, fauna and little critters of all kinds. It means five star open-air dining by candlelight, the perfect pool, rooms that pride themselves on the little things that matter and the kind of service that leaves you feeling more like long lost family than a paying guest. The healing sounds of nature fill the air in this amazing place with more than ninety bird species singing in symphony and meandering boardwalks that lead to unforgettable sunrises and sunsets. This Asian inspired sub-tropical piece of paradise set on 18-hectares of rainforest is far enough away from Byron to feel isolated, but close enough to nip into town for a bit of retail therapy or dinner at one of the wonderful restaurants that now call this iconic beachside town home. Catering for every occasion – from ultimate romantic escapes to the best in business conferences and fun family holidays, we can vouch for the fact that The Byron at Byron delivers way beyond expectation, leaving you refreshed and inspired long after you leave. For more information and bookings go to www.thebyronatbyron.com.au or call the Guest Relations Team on 02 6639 2105. At Byron Bay Luxe Limousines we work with many businesses and corporate clients and know first-hand how important it is to work with event and conference planners who really know what they’re doing. This is why we partner with the Byron Business Events Bureau (BBEB), who have extensive event organisation experience. Byron Bay has a strong reputation for being a hub of creativity and innovation. It’s the region where so many amazing ideas are born and is home to an increasing number of inspiring, award-winning businesses. For conferencing and events, Byron is unsurpassed. This region offers a wide selection of venues with state of the art technology and accommodation options that suit every budget. 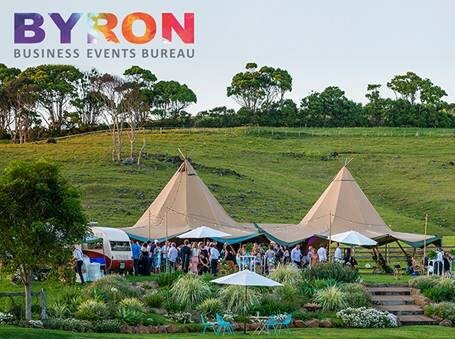 The team at the Byron Business Events Bureau are highly experienced professionals. They know the art of event management inside-out and are only too happy to help. The Bureau is the perfect one-stop shop for all things conferences. You find exactly what you need, all in one location. With so many details to consider, the Bureau not only takes the headache out of planning your event in this stunning region, but they’ll go to great lengths to make it a thoroughly enjoyable experience. By partnering with the BBEB you get a 360 degree, one on one event and conference planning consultation at no cost, and you can be sure they only recommend the best. This will save you precious time and money, and also avoid the type of stress that so often goes with organising a major event – particularly in an area you might not be so familiar with. All you need to do is simply complete an event form on their website then you’ll receive a detailed proposal suggesting best suppliers in keeping with your budget. So easy! We love supporting events that help people live outside the box and get a fresh perspective on life. Byron Bay offers so many amazing events throughout the years, and the Annual Byron Latin Fiesta is hands down one of the best! The 12th Fiesta is happening this year from the 3rd to the 5th of November. This fun and fabulous event has a reputation of being one of the best Latin dancing events in Australia, and prides itself on being accessible to both people who have never stepped on a dance floor as well as those who really know how to shake their booty. For three days and four nights, this very special festival lights up the streets of Byron, bringing the local Latin dance community together, giving the professionals the chance to really showcase their talent while also educating and inspiring those new to the scene with loads of beginner workshops. There’s no doubt that dancing is good for the soul and that in Australia we simply don’t dance enough. 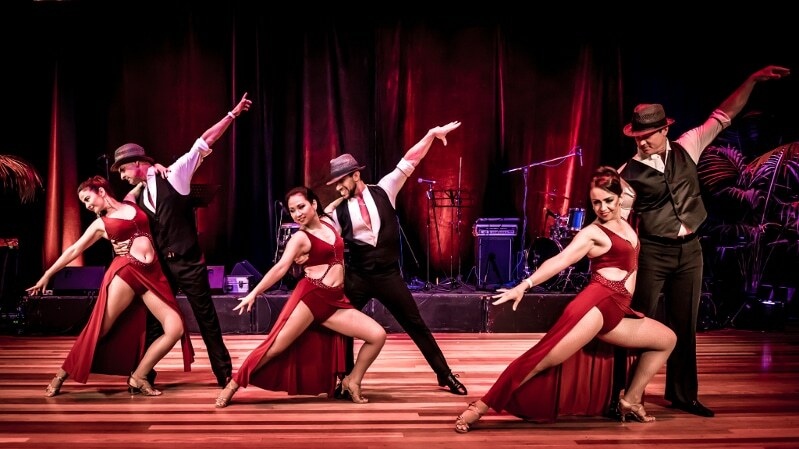 The Latin Fiesta is a great chance to see exactly why Latin dance has taken the world by storm and feel the rhythm of some amazing music at one of the many workshops or parties. With international, national and local teachers and performers, plus live bands and Latin DJs lined up, there no shortage of opportunities to learn from the best and let your hair down. So whether you’re watching from the sidelines, getting your grove on or sipping margaritas at the famous after parties at Guzman Y Gomez, you’re sure to have the time of your life as a little bit of Latino culture graces the streets of Byron next month. See you there! Plus Master Classes with international instructors and a new Talk Series! 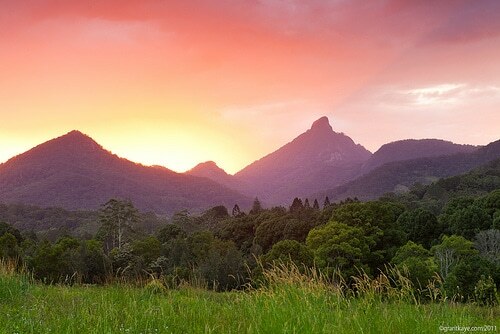 The Northern Rivers region showcases the world’s oldest subtropical rainforests, magnificent beaches stretching from the Gold Coast to Byron Bay and mountains forged by ancient volcanoes more than 23 million years ago. The Mt. Warning Rainforest Park is located right between the Gold Coast and Byron Bay, providing the perfect base to explore the cosy mountain villages, lush rainforests, towering waterfalls, golden beaches, funky craft markets and hidden art galleries. 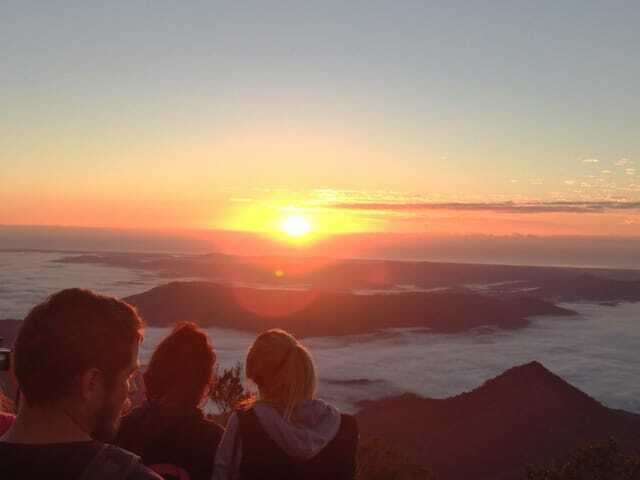 Be the first in Australia to see the sunrise from the top of Mt Warning. The 8.8 km, five hour return walk through the rainforest, culminates in breathtaking 360 degree views around the ancient caldera with coastal views stretching from The Gold Coast to Byron Bay. Winding upwards from the Breakfast Creek parking area, the Mount Warning summit track passes through a variety of vegetation communities. Subtropical and temperate rainforest, wet sclerophyll forest and heath shrub land are all encountered on your journey. The climb ends with a challenging rock scramble before reaching the summit, the perfect place to picnic before heading back down again. As an alternative to climbing the mountain, enjoy a shorter walk catering for the less energetic. The Lyrebird Track crosses Breakfast Creek before winding some 200m through palm forest to a platform set amongst the lush tropical rainforest. A picnic at The Korrumbyn Creek Picnic Area, situated on the left hand side of the road as you drive towards the mountain, also makes for a great day out. 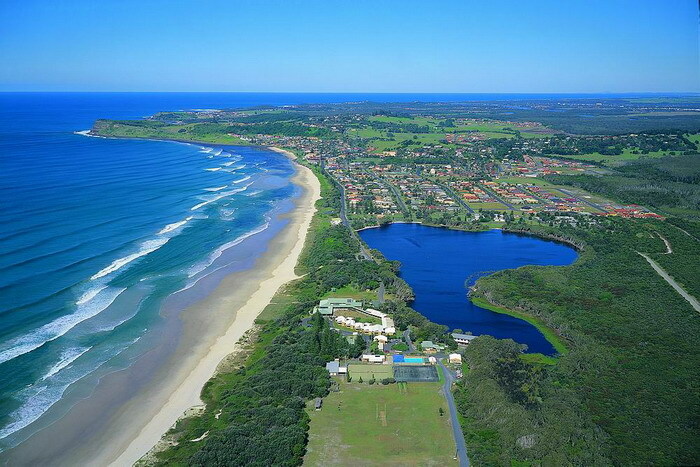 South of Byron Bay towards Lennox Head stretches Seven Mile Beach. This expansive sweep of rugged beach bordered by coastal wilderness feels untamed and primitive. Untouched by development, it’s the perfect place to surf a serious wave solo, ride horses on pristine sands, join the seasoned fisherman beach fishing along the shore, or just enjoy a secluded day on this incredible part of the coastline. Kick off your shoes and feel the sand between your toes as you stroll back along the beach. Once you reach Lennox Head there’s access behind the Surf Life Saving Club to Lake Ainsworth, a freshwater tea-tree lake ideal for small boats and picnicking under the paperbark trees. Pack a gourmet picnic and spend a lazy afternoon under the shade of a nearby tree at one of the many secluded spots or head to one of the many fabulous cafes in Lennox Village for a bit to eat. Book today for Byron transfers to the airport, or to events in and around Byron Bay.